CHO Jin-woong has signed on for the lead role in the upcoming period thriller Commander Kim Chang-soo, in which he will play the titular Korean independence fighter during the Japanese Colonial period. Heartthrob SONG Seung-heon will play opposite him, taking on the first villain role in his career. As a young man, KIM Chang-soo is placed behind bars after being charged with the murder of a Japanese man who took part in the assassination of Empress Myeongseong. During his time there, KIM witnesses the hardships of the Korean people and grows into an independence fighter. Wielding the megaphone for the first time will be LEE Won-tae, whose previous credits include being a producer on horror-romcom Spellbound (2011) and the original story writer of last year’s The Magician. After gaining significant momentum as a supporting player for several years, CHO jumped up to the big leagues as the antagonist of KIM Seong-hun’s A Hard Day in 2014. Recently, he has appeared in PARK Chan-wook’s The Handmaiden. Star SONG was last seen on the big screen alongside UHM Jeong-hwa in family comedy Wonderful Nightmare (2015). 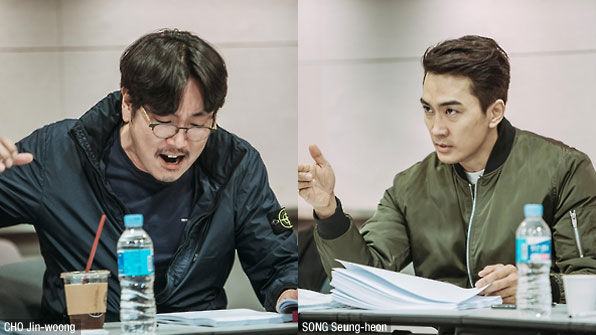 Following a script reading session and “gosa” ceremony (a traditional ceremony to kick off a film production in Korea) on October 31st, principal photography for Commander Kim Chang-soo kicked off on November 7th.